Every year, we all set goals and resolutions. As with many personal challenges, it is easy for the months to slip by without meeting your financial goals. 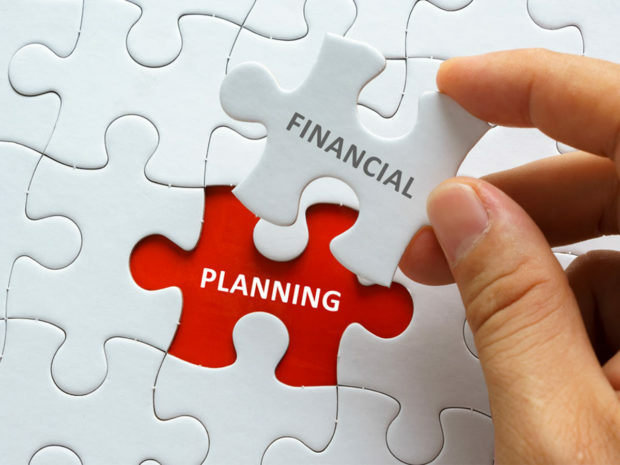 Whether you want to save for a specific purchase or improve your financial standing for decades to come, it is important to create a financial plan. But, the biggest hurdle we often face is realism. To see results, your plan needs to be manageable and realistic. The budget is at the heart of any good financial plan. Balanced income and expenditure is the key to a sustainable financial future – and this should account for regular savings, too. Since your circumstances are constantly changing, you should re-evaluate your budget monthly. While regular costs will remain fixed, seasonal or unexpected costs can be accounted for. After all, it may be unrealistic to set yourself the same savings budget during summer holidays or in the run-up to Christmas. One simple way to achieve this is to use a budgeting app. Money Dashboard, for example, can help you to see the bigger picture and the impacts of everyday financial choices. When you start to save, one common pitfall is a lack of clear goals. No matter your financial position, it is important to set goals and to visualise what success will look like. If your savings goals are tied to home ownership, for instance, you will have a stronger motivation to avoid the next unnecessary purchase. Set short term goals for long term aims, and imagine yourself debt-free, as a homeowner or successful investor. It is also worth thinking about your life goals as a whole. Ask yourself what financial position you’d like to secure for later life, and if you’d like to pass inheritance on to your children. Direct cremation is one fuss-free way of maximising the money you can leave to loved ones. It is still possible to organise a respectful service, but your family could save thousands. Although you need to think ahead, it is important to stay focused on short-term goals. Set yourself tangible rewards and treat yourself to the non-essential things you love. This will mean different things for different people, and it is important to keep rewards proportional. Incorporate a liveable allowance into your monthly budget, and reward yourself for making progress. This can motivate you to move forward step-by-step, while allowing you to spend money on what you love. To make a financial plan you can stick to, you need to incorporate a spending allowance. But, it is still important to really consider the purchases you make. Assess your motives before making any purchase. Ask yourself how you could use the money, if you weren’t to spend it. If the cash could serve you better in a pension plan, it’s likely not a smart purchase. Material goods can be smart investments – you just have to think long-term. Quality furniture, a decent suit or a new mattress could be more worthwhile than impulsive retail spends. In the modern world, financial management doesn’t need to be a gruelling manual process. Automating aspects of your savings routine can help you stay on track, since your budget for bills, groceries, rent or mortgage payments is automatically reduced. This simple trick can help you to treat regular savings as a priority rather than a last resort – with no effort required from you. Simply create a standing order to your savings account and watch your money grow.